Combustion = oxidation of the fuel gases while releasing heat. A flame is present, the materials are burned. The result is highly contaminated ash, CO2 and H2O. Pollutants are released into the air. Heat is transformed into steam that can be utilized further. The materials are gasified under pressure and high temperature. 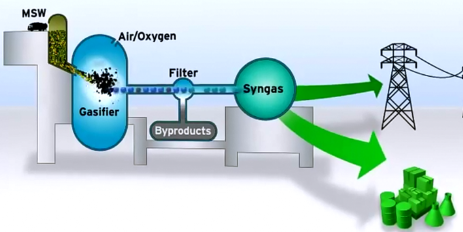 Synthetic gas (SynGas) is produced. No pollutants are released into the air. The result is slag, byproducts like fertilizer and SynGas that can be utilized further. 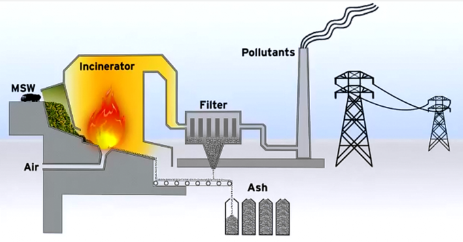 Gasification is a process in which the process flow after the gasification process is terminated. 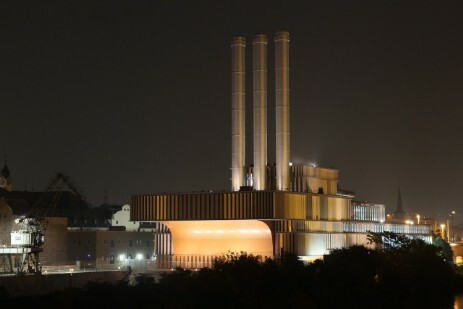 The final product of gasification is a small proportion of heat and primarily a gaseous fuel, which is composed of carbon monoxide CO, hydrogen H2, methane CH4, carbon dioxide CO2 and water vapor H2O. Depending on the gasifying agent (pure oxygen, air or steam) there is also a significant proportion of nitrogen contained and yet the configuration of the gas components varies. Combustion is a process in which the above four processes are involved and consequently stepped through. The end product of the combustion is heat and exhaust gases in the form of carbon dioxide CO2 and water vapor H2O, which are released into the atmosphere. Pyrolysis (carbonization) is a process in which the process flow after the pyrolysis process is terminated. 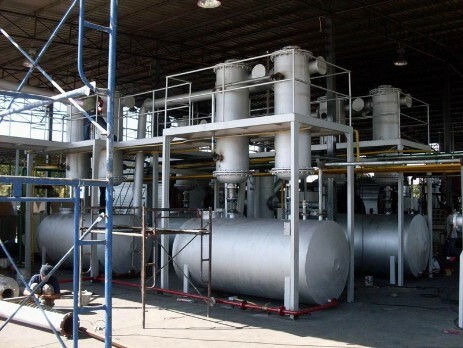 The difference between pyrolysis and gasification is that no external agents are added in the pyrolysis process, the feedstock material is actually cooked, treated exclusively with heat. The end product of pyrolysis is a pyrolysis coke, pyrolysis oil and pyrolysis gases. Depending on the applied temperature, a distinction is made between low-temperature pyrolysis up to high-temperature pyrolysis. The end products of these processes differ in the amounts of the solids (coke), liquids (oil) and gases. 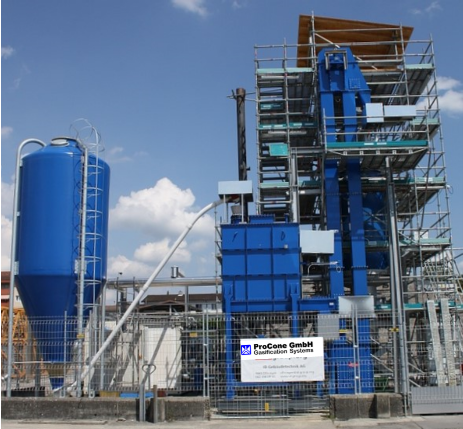 Higher the pyrolysis temperature results into the higher percentage of gas components in the end product.